The schedule yesterday, included a trip to the Amana Colonies, followed by lunch, and then a visit to Scott’s house to see his collection. However, there was an option, to have the day on your own. We opted for another adventure, with plans to make it Scott’s house to see his collection. And…we surely made the right decision. 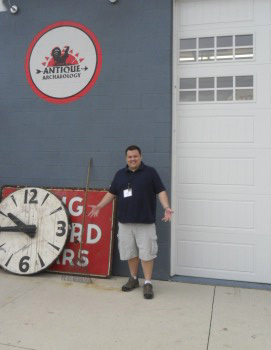 I had found an antique mall through a google search that was a little over an hour away, and TC and I hit the road. 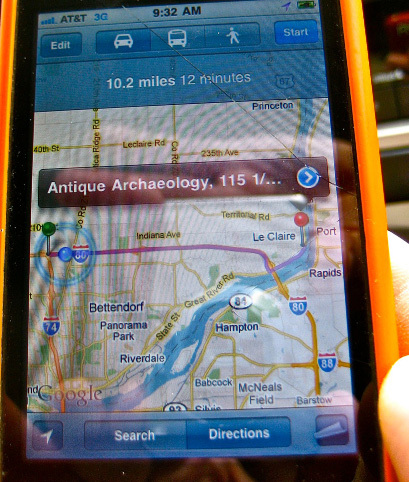 As we were driving up, the trusty iPhone let us know that there was an antique mall about midway. After a little more chatting, she grabbed her phone and called her friend. And, then she handed the phone to me. Following a little more friendly conversation, we were invited to the see the collection–the 3000 corkscrews were her late husband’s collection, and she wanted to part with them. We had to kill an hour waiting for her to set the collection up for us, and all kinds of scenarios were talked about as we headed to the Karen’s house. At the appropriate time, we rang the bell, and the Karen answered. After exchanging handshakes, and pleasantries, we were all in the kitchen looking corkscrews. And, shortly after that, we were bringing more boxes of corkscrews in from her car. As I pulled a large box of corkscrews from her car, it suddenly it dawned on me. I had seen this collection before. A year ago or so, there was someone selling on eBay, and after emailing them about their corkscrews, they had sent a bunch of pictures. Upon seeing these, I helped the Karen’s son with valuation, origins, and such. I shared this information with the Karen, and she remembered the email exchanges as well. The rummaging through boxes got even more friendlier at this point, with her ultimately having us follow her to her storage shed, where she proceeded to excitedly throw boxes around as she wanted to find a wooden box for a Champion Cork Puller that she had seen recently. After we got back into the kitchen, and went through all the boxes (twice), we had amassed a small bunch of corkscrews, and began negotiations. She was a tough negotiator! And, it made for a fun afternoon as we went back and forth with offers and exchanges punctuated with good hearted laughter. Karen promised to call when she uncovered other boxes, and shared how happy she was that the corkscrews were going to people who loved the corkscrews as much a her late husband had. As we headed towards the door, hugs and thank yous were exchanged. In the end, we walked away with some nice corkscrews. Tommy even managed to find 23 Flashes in the collection, and I focused on one particular piece that I recognized, but wasn’t quite sure what it was. Still, combined we picked up about 60 corkscrews, and after calling Tipped-Worm-Johnny about directions to Scott’s house, and sharing the story with him, upon our arrival the news had clearly gotten out. The corkscrew boys, had made a find! 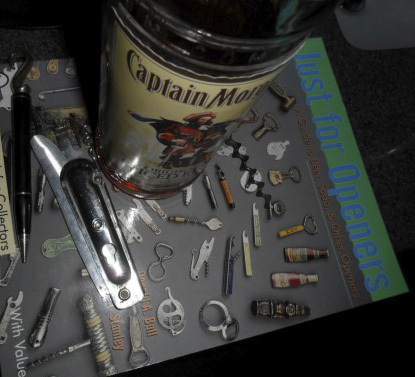 Yes… it was a good day to be hunting corkscrews in Iowa. 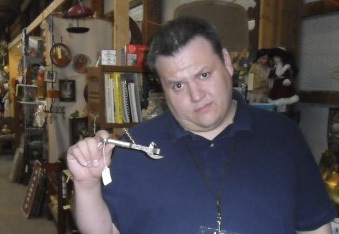 And, what was the brass lever? An 1883 White patent! 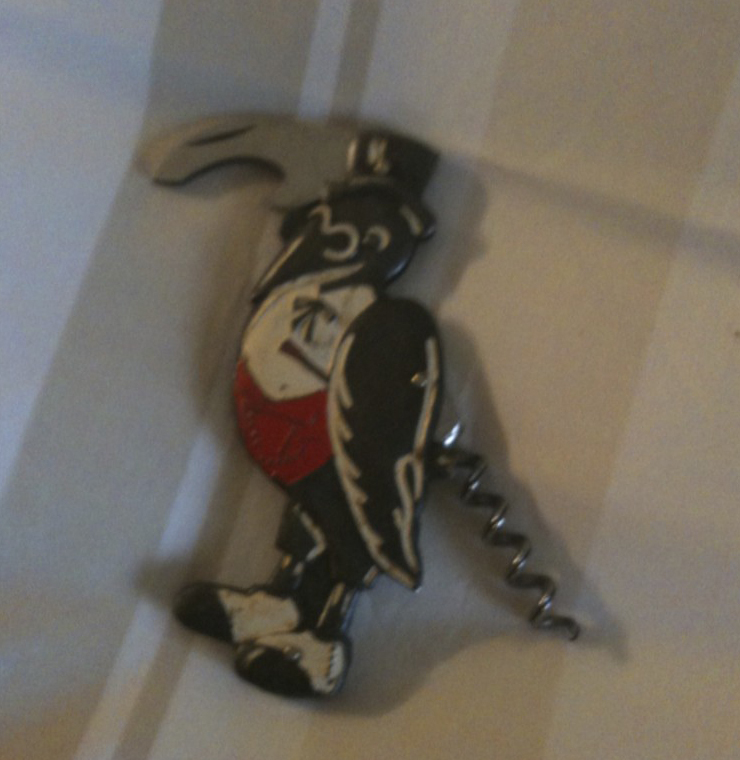 The piece is missing the little wingnut for the corkscrew, but it is simply fantastic. Next year’s meeting is in Las Vegas…could we possibly top this trip? I would love to try! 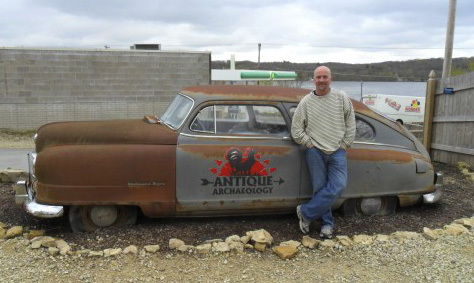 We hit the road this morning, knowing that we would make a stop at Antique Archeology. 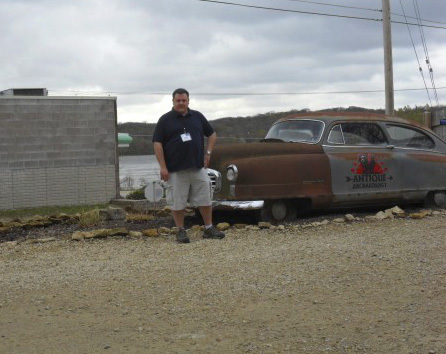 With the iPhone acting as our GPS, we made our way towards LeClaire, IA and after a little searching–the place is really tucked away–we found the shop! We hit the rest of the antique stores in LeClaire, and started checking the literature some of the shops had, and headed off in another direction. 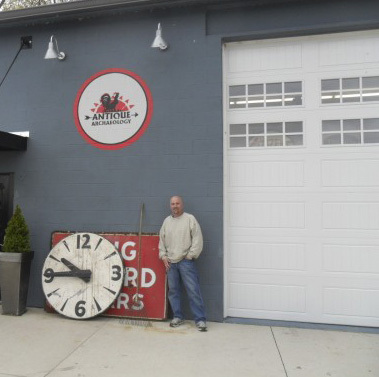 In Davenport, we found another shop–not an easy task as many of the roads were closed–and they gave us some suggestions. And, one paid off. This is a large advertising corkscrew for ORIGINAL Manitou, THE MANITOU WATER CO., MANITOU, COLO. And, it was a smokin’ deal at 6 dollars. 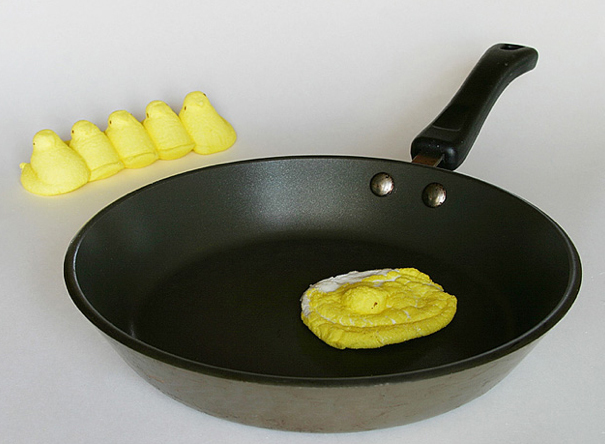 One of their other suggestions, however, did not pay off. After that mall, we decided lunch was the next order of business, and started heading back towards Cedar Rapids. Lunch, a bit more driving, and soon enough we arrived back at the JFO hotel. 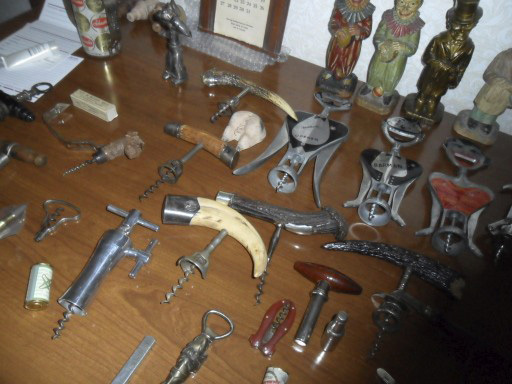 And there are definitely corkscrews and openers galore here. Tommy and I will hit the road tomorrow, and head towards Amana, IA–although, there is another area that looks interesting–perhaps some rarity will be uncovered there. And, the buy and sell is still yet to come! I found myself in a lovely upgraded car, and with a few hours to kill until TC arrived. So, I went about hitting the local Cedar Rapids antique stores, only to find other JFO-er’s already meandering through the aisles, booths, and cases. However, I had yet to arrive at the hotel… So, at the appointed time, I picked up Tommy, and we headed towards the Marriott. And, within minutes of checking in, and heading up to the reception room, people were asking what we brought with us to sell or trade. As mentioned previously, JS and I have had this long term negotiation for on particular corkscrew. However, something new was laying in JS’s case…and after a little conversation a deal was done. I simply told him I wanted it, and we would work it out. I proceeded to show him a few M-73″s and a few other items that I had brought. And, went back and forth a little more. …the deal was officially done! JS got some openers that he covets, and I got the crow! Tommy, meanwhile, was striking deals with everyone. And, has amassed a crazy amount of stuff thus far; snifters, flashes, a rare pat. pending opener/corkscrew that Joe Young was quite excited about, and the list keeps growing. This morning we had out towards LeClaire, IA. WIth any luck, we will run into Mike, Frankie, and Danielle. That said, while I was waiting for the delays to become cancellations, I has a brief email exchange via the iPhone for a lovely little folding bow corkscrew. As it happened, 3 years ago or so, I managed to win another version of this on eBay and was quite pleased with it. However, in between the move from Newton to Vinalhaven that corkscrew has gone missing. I keep hoping it will turn up, but at this point still no Jas. E. Pepper bow. I am still hoping however. 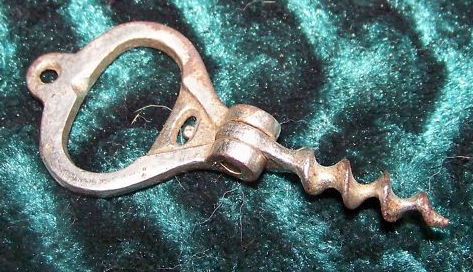 However, a while back I was sharing this story with John Morris, and he shared with me how he has a Joseph Smith patent that he misplaced as well–he too had since replaced the missing corkscrew. Given the two missing corkscrews’ missing-ness we made an agreement that when I recovered the little folding bow, and he re-discovered the Joseph Smith patent we would trade them. Now, I still haven’t technically recovered the Jas. E. Pepper, but did pick up another example yesterday–again, whilst sitting in the airport. The journey to the JFO meeting will begin shortly. And, after what looks to be a smooth boat ride to the mainland, I will head to Portland to the airport. No antiquing along the way, just making sure I get down there to make my flight. 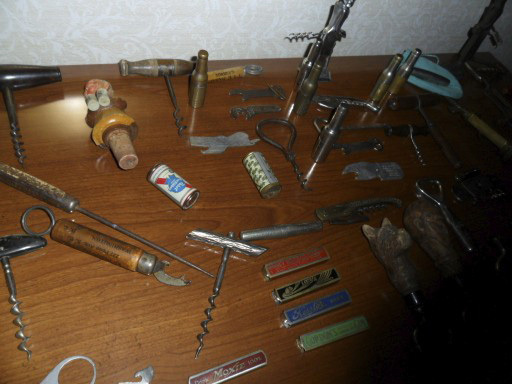 And, there are probably no corkscrews to be had at the airport as well. 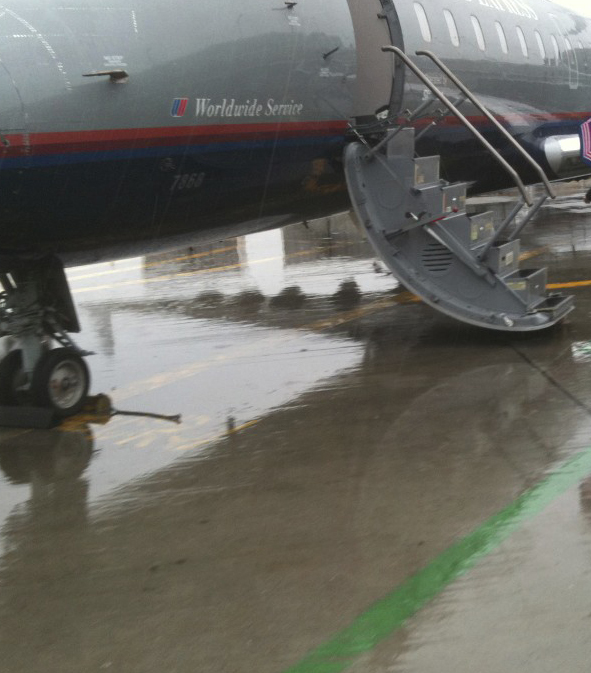 Nor at the airport where I will be changing planes. So, if any corkscrews are to be had, it will be this evening after I arrive at the JFO hotel. 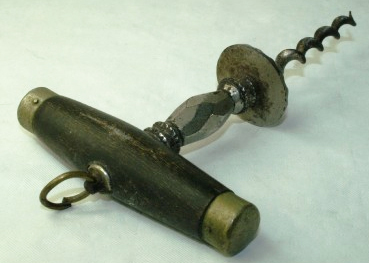 In Bob Roger’s best 6 a couple of years ago, he featured an interesting tool kit with a Greeley type cork puller tool. And, after having seen his, I was lucky enough to find one similar. It is really an interesting little piece, and since then a couple have turned up on the ICCAuction. As fortune would have it, I just acquired another. And, this one is a double. 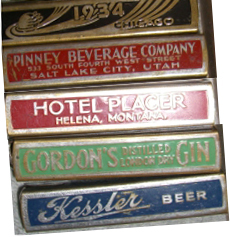 So…if you are looking to add the “LEB Co., PAT PEND, 115 BROADWAY, NEW YORK, U.S.A” Tool kit to your collection, drop me a line. Over the weekend, two more Frarys were added to the collection. At first, I thought one was a double, but after talking to the collector who agreed to trade it to me (thanks RL), and looking at the picture. 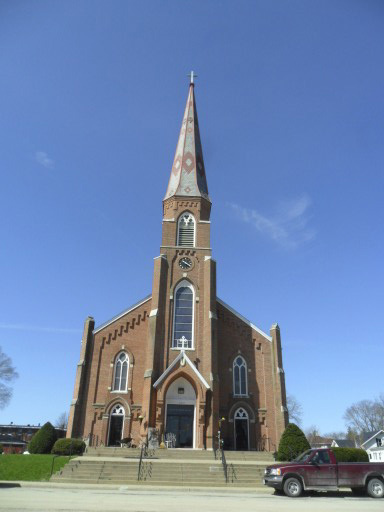 It isn’t a double at all–it is yet another variation of Frary’s designs. I will update the Frary page in the coming days with the new corkscrews–but the addition of these two put the official number at 14 thus far. 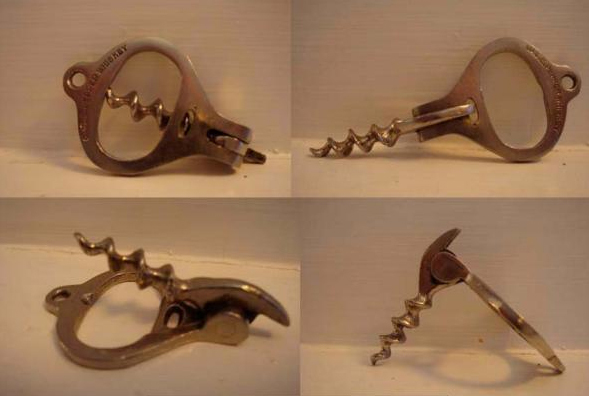 If any of you have a corkscrew that looks similar to these, feel free to drop me a line. In particular if you have the Frary with the Can Opener on the side of the handle I will make a healthy offer for it. And, tomorrow I begin the trek to the JFO. Car, to boat, to bus, to taxi, to plane, to plane, to car, to JFO hotel. Surely something blog worthy will happen in there. 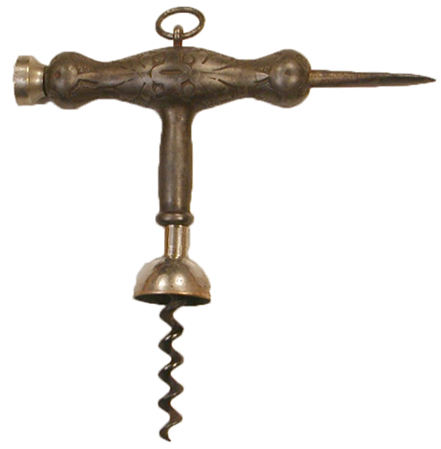 And, if not…there will definitely be tales of openers and corkscrews as the meeting commences. Stay tuned! The latest ICCauction, will have lots ending today. 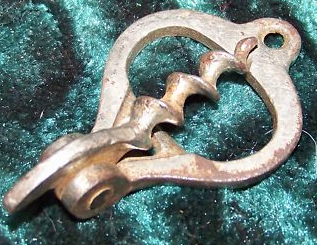 And, there are some awesome corkscrews to be had. Okay… I know… it is more often than not that I say a corkscrew is heading to the collection, as that is pretty much the point of collecting. 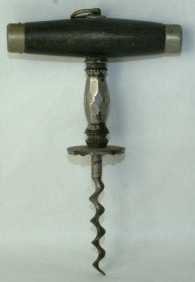 And, yesterday a corkscrew was listed on eBay.UK for a smokin’ buy it now of practically nothing. And, practically nothing at the current exchange rate is still a smokin’ deal. So, I clicked the button. 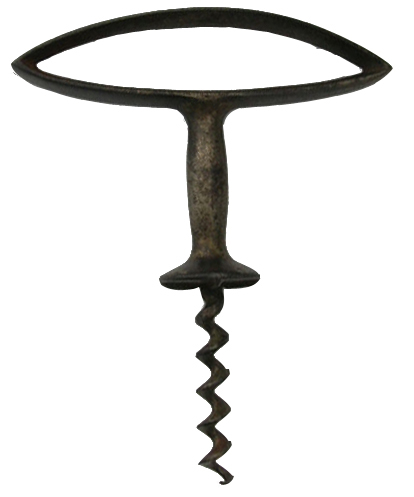 Now, this corkscrew will take a rather circuitous route to get to me, as the seller only wanted to ship within the UK. 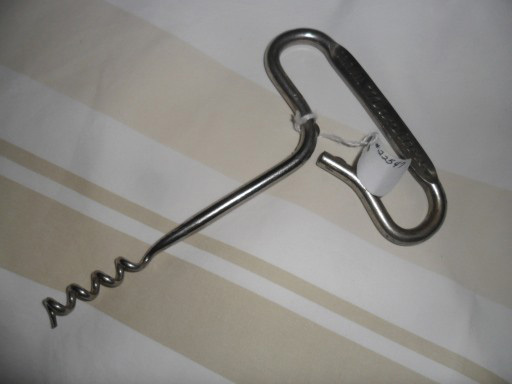 And, so the corkscrew will be shipped to Peter–who inevitably will open the package thinking it was for him, and he will scratch his head wondering if he actually purchased it, or possibly the corkscrew gods merely gifted it to him. Eventually, he will realize that it is addressed to me–in c/o Mr. Borrett–and then will let me know that it has arrived safely. This may also be followed with an offer to buy said corkscrew. When it arrives Petey, throw it in my drawer! Also, only 4 days till the Just for Openers meeting. Reports from Cedar Rapids starting Tuesday! 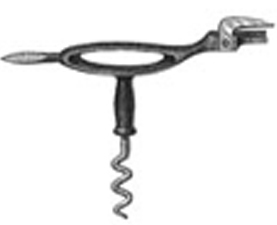 With the JFO rapidly approaching, I have been rounding up potential tradebait for the JFO-ers, and one or two corkscrews that may be staying in the collection. As it happened, after a couple of phone calls and emails, a collection of 5 M-73’s is being sent to the island–which will promptly be packed up, and brought to Cedar Rapids. 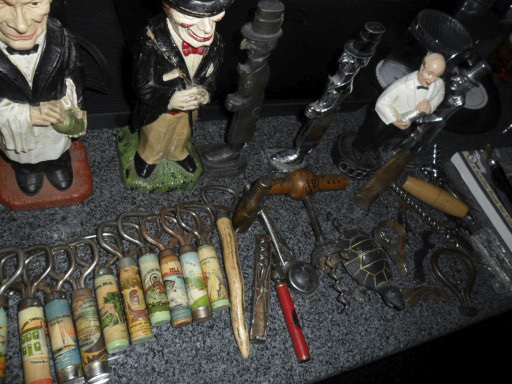 Over the last few years, there have been some nice corkscrews available for trade at the annual get together. What will turn up this time? We shall see in about 5 days!! !